Accelerate your business with intelligent, predictive solutions generated from your data. Our Machine Learning Proof of Concepts Create Algorithms and Models to Help You Better Understand, Predict, Strategize and Operationalize. A large insurer utilized cumbersome processes for reviewing, analyzing and passing determination on applicants seeking insurance coverage. As a result, the decision-making process and turnaround time on applications were lengthy. Underwriting staff were overwhelmed by their caseloads. In addition to having an impact on employee engagement and creating a negative experience for customers, the company found it was losing business to competitors who were able to respond more quickly. The organization sought to remedy the issue by automating some of the review process. Over the course of its history, the company had collected a significant amount of data from its applicants and subsequent claims data and had specific outcomes associated with its dataset. 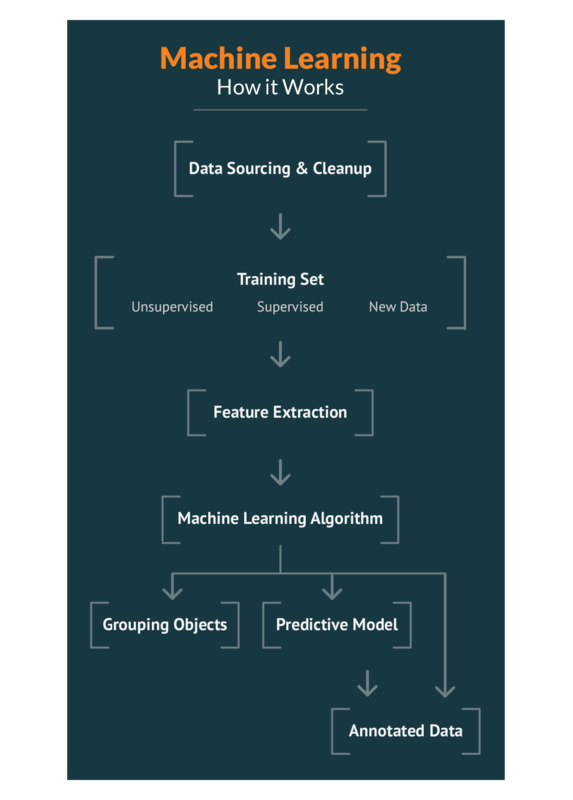 This presented an opportunity to utilize machine learning through the development of a set of algorithms and its application to future data. This model would generate outcomes using a “stoplight process” to quickly determine applicant viability, whereby Green results were pushed through and deemed as suitable applications with no human intervention, Yellow required additional review by the underwriting staff and red were denied and sent to affiliates and third-party insurers for consideration. As a result of the machine learning initiative, underwriters and additional resources saved an estimated 66% of their time in the review process, yielding valuable cost-savings to the company and increasing employee engagement. Applicants received timely responses to their applications and benefitted from an improved experience. As a result of the machine learning initiative, underwriters and additional resources saved an estimated 66% of their time in the review process. Learn how your data can help you predict, strategize and operationalize for the future.